This entry was posted in News and tagged news on March 12, 2015 by Tom Grundy. Share the post "NEWS – Helper Crushed by Concrete Block At Agency"
A 33-year-old Indonesian domestic worker is in a critical condition after being crushed by a falling 60kg concrete block. Elis Kurniasih, employed by Sun Light Employment Agency, was in a boarding house provided by the agency. A concrete base of an air conditioner fell on her as she prayed at 5am in the morning. The incident resulted in massive bleeding a broken spine, according to a Mission For Migrant Workers spokesperson, who added that conditions at the boarding house were said to be “terrible”. “Indonesian domestic workers there are said to sleep on the floor with mats and no proper bed. Cooking is done at the rooftop of the said old building. Although there is a lift, they are allegedly made to take the stairs since only tenants and staff are allowed to use the lift.” Mission for Migrant Workers said. Ellis had returned to Hong Kong to await placement with a new employer. Previously, she had been involved in the Erwiana campaign for justice. 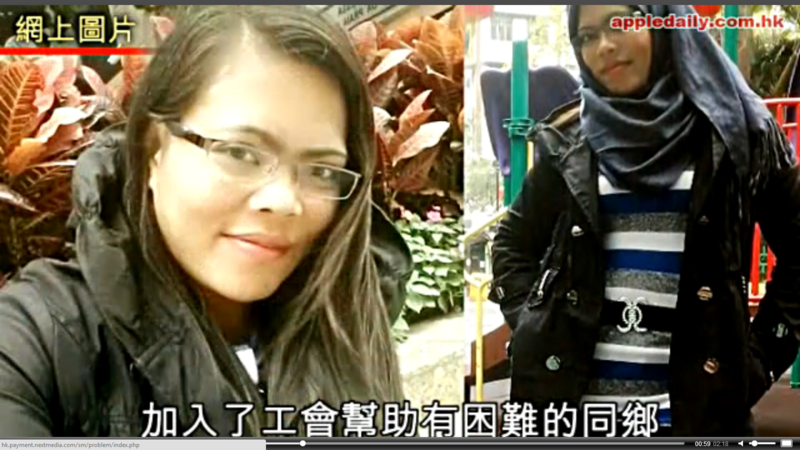 The Asian Migrants’ Coordinating Body said that the incident “must be fully investigated… accountability and liability must be established.” The NGO added that the case was not isolated and is “just one more reason to fully look into the living and also working condition of FDWs [Foreign Domestic Workers]”. The Coordinating Body also called for the live-in rule to be scrapped. HK Helpers Campaign legal advisor Rob Tibbo said that the incident exposes the lack of state protection for domestic workers. Last year, a Filipino domestic helper died when a cabinet fell on her as she slept. 1. employers who jerk their employees around and don’t give a thought about how it impacts them (oh, we don’t want you now, who cares if that makes you homeless/jobless for two months, deal with it). My co-worker is dealing with this issue as her employer refuses to pay her a salary for July and August (school is closed, why pay you?) without any thought as to how she’s supposed to live for two months without income. 2. The housing crunch in HK. There simply isn’t enough space to accommodate homeless helpers. Whine and moan all you want about how some helpers don’t get a decent room at their employers, but any bed is still better than sleeping on a balcony, which is more than likely what will happen if helpers are forced to find their own accommodations. Employment agencies are often far less scrupulous than the families they work with. If I was a DH, I’d rather take my chances with a family over these boarding house scoundrels. 3. The unethical and unregulated practices at agencies around HK. There are so many bad ones it would be much faster to list the good ones. Who not only allow helpers to live with known abusive families but collude with families to do illegal things or who create their own inescapable traps by confiscating passports, extorting money, demanding they clean the offices on helper holidays, and so on. Honestly, there are far more bad agencies than bad families. If I had to choose, I’d try my luck with a family any day over these agencies. 3. 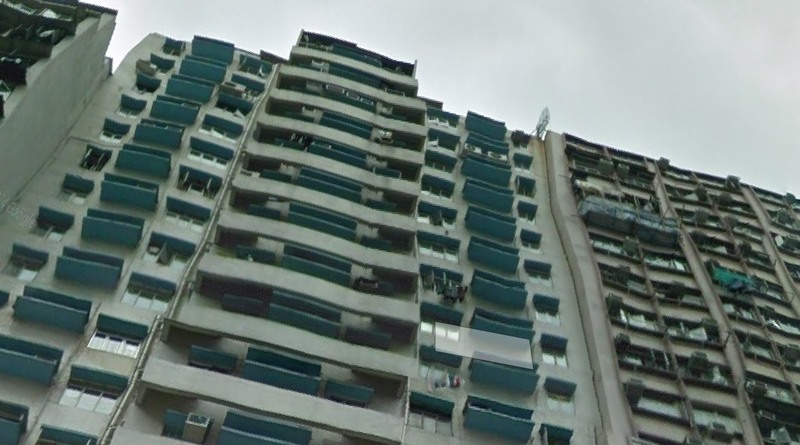 The deplorable state of most buildings in HK. When I moved into my flat, it was still being built, so I know it’s literally less than a year old and it’s already falling apart. Huge cracks in the wall from the first week! Things are allowed to just fall apart and building management is completely unconcerned. I think none of these buildings would ever pass any safety inspections done in my home country. The entire city should be condemned. This is a scary thought for all of us who walk under these buildings every day hoping we aren’t the next one to get crushed under 60 kgs of crumbling debris. 4. the very real class/race issue that makes all these issues non-issues in the eyes of the law/general society because no one gives a hoot what happens to DHs. Even their own home countries don’t bother making such a big fuss. HK made an enormous stink about the Manila Hostage crisis (which affected 25 people) while the Philippines has never demanded HK right the hundreds of wrongful deaths of DHs. Who is on their side? Absolutely no one. It’s sick.